Dedicating the same amount of time, effort, attention, and care to our partner organizations that we give to our valued clients. 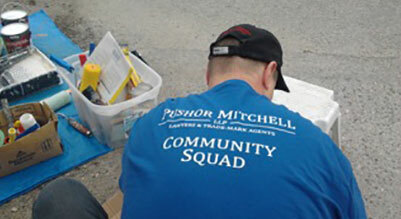 When we say that Pushor Mitchell is committed to our community, we mean it. Some businesses are content to simply write a cheque for a local charity, or send their employees to join a fun run, and call it their “community involvement.” At Pushor Mitchell, we carefully select partner organizations in the Kelowna and Okanagan regions and dedicate to them the same amount of time, effort, attention, and care that we give to our valued clients. We provide the following list of community stories not to showcase our own volunteer record, but to showcase our partners: to describe who they are, what they do, and how we help them do it.